Peace is a message we see all over the place - on flags, in art, or on the skin. A peace tattoo sends a powerful message. Take your pick - the dove, the olive branch, the paper crane, the 'V' sign, or the most familiar peace sign of all - the inverted broken cross in a circle. 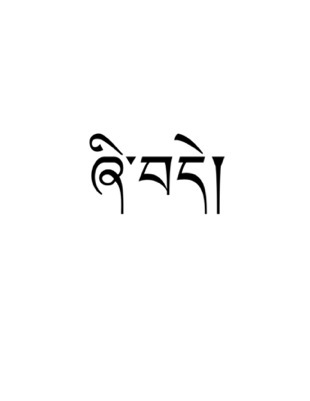 Peace is translated as 'Shi-day' in the Tibetan language. Shi-day can also be a guy's name. I had a friend in Dharamsala with this name but he spelled it Shedhe. Some people also pronounce it 'Sheb-day'....it really depends on what region in Tibet people are from. I remember having a conversation once in BodhGaya, India with 3 different Tibetan guys all translating for me. It was a chain translation and it was hysterical. I was trying to interview a man from a remote part of the region of Amdo in Tibet. One man was listening to him and then would translate to a man from a larger town in Amdo. Then that man would translate to a man from Lhasa, the capital city who would then translate into english for me. Every sentence took quite awhile to get to me as they all could hardly understand each other!